Let’s face one inconvenient fact: travel isn’t inherently sustainable or eco-friendly. Airplanes are one of the highest contributors to carbon emissions, and tourism produces a significant amount of physical waste that locals later have to deal with. Additionally, many areas do not have solid infrastructure for recycling, meaning that anything made of plastic or non-compostable materials eventually ends up in landfills, oceans, rivers, or forests. We could debate all day about the ins and outs of the effects of tourism, but personally, I don’t think stopping travel is the way to go. In this moment, I think the benefits of travel can still outweigh the harmful effects of carbon emissions and waste. However, I also think we, as travelers, have a duty to protect the world we are exploring. One way to do that is to do our part to reduce personal waste and pollution. 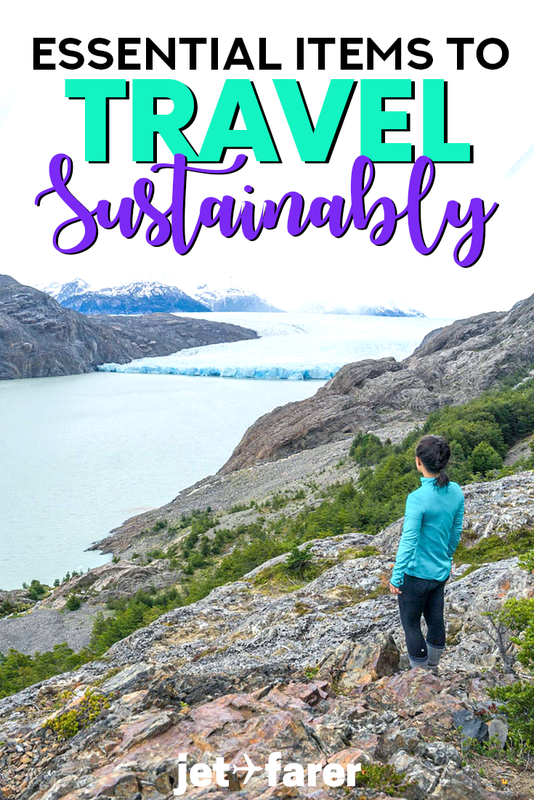 In this post, I’ll outline some of my favorite items I’ve brought with me over the years to travel more consciously and sustainably. This one should be obvious, but whenever I travel, I see tourists and locals alike toting around single-use plastic water bottles all the time. Yikes. According to EarthDay.org, humans purchase about 1 million plastic bottles per minute, equaling about 50 billion bottles per year in the United States alone. Our oceans, waterways, and ecosystems are being destroyed by the harmful effects of plastic. So, as a conscious traveler, I ALWAYS bring a trusty reusable water bottle with me on my adventures. I’ve used my Hydro Flask water bottles (yes, ahem, I have more than one…) for years now and I couldn’t be happier with them. They keep my cold drinks icy for hours. They keep my hot drinks steaming through the day. Although they’re quite a bit pricier than the average water bottle, I highly recommend them for their quality and durability. For those who enjoy non-water beverages, Hydro Flask also makes coffee mugs, beer growlers, and camping drinkware. If you’re looking for something a bit more affordable, a classic Nalgene bottle is the perfect travel companion. These are durable plastic bottles that hold a lot of water so you don’t have to worry about refilling it over and over again. They’re BPA free and solid as a rock. I’ve brought one on several camping trips and, while it is scuffed and well-loved, it has never leaked or failed me (knock on wood). Not if you get the right filtration system! Filtration systems drastically minimize the number of disposable bottles you’ll use during your travel, thus reducing your single-use plastic waste. A filtration system is also an affordable way to have access to clean drinking water wherever you are. It’s a win-win for travelers and the environment. There are a couple of ways to purify your water, which I’ll outline below. FYI – I typically bring two of these to really cover my bases when it comes to drinking from the tap: the SteriPen UV Purifier and the Sawyer Mini Water Filter. Sawyer Water Filters are the best of the best. Depending on your needs (or risk tolerance), they have three different “levels” of water filters that prevent different kinds of bugs and chemicals from getting through to your water. I bring the Sawyer Mini Water Filter with me on my travels, since it’s a compact filter that can be used as a straw and also a filtration system for larger bottles. The LifeStraw is a fantastic portable water filter you can use anywhere you go. It’s small, compact, and lightweight for easy portability. It also is effective at removing bacteria, protozoa, parasites, and more. Easy to use and fairly portable, UV purification systems don’t require filters or chemicals to clean your water. All you have to do is stick the UV light into your water bottle, stir for a fixed amount of time, and voila!, your water is drink-ready. Because they’re so easy to use, they’re great for any traveler on the go. I use the SteriPen (below) on all of my travels. There are many UV filters out there, but the most trustworthy of them all is the SteriPen, a hiker’s best friend. I have used the SteriPen on backpacking trips, during cultural trips, and even at home on hikes and camping weekends. Because I prefer to cover my bases and am a little paranoid about getting sick, I use my SteriPen Aqua alongside my Sawyer Mini Water Filter. *Disclaimer: I don’t use a chemical purification system because I’m a little sensitive to the taste of my water. I prefer to use a combination of the other two methods. But these chemical purification systems come highly recommended by other travelers and outdoor enthusiasts! Potable Aqua tablets can be used to purify water that is suspected to have bacterial contamination. Use as directed and it will kill bacteria. They usually recommend using this alongside a filter or other purification system. Purinize drops are said to be non-toxic and effective at eliminating contaminants, heavy metals, and viruses. According to reviews, the taste is mild and one bottle can purify hundreds of gallons of water. Hotel and travel-size toiletries almost always come in single-use containers that eventually end up in landfills or oceans. The best fix for this? Buy “naked” toiletries! What does this mean, exactly? It means that there are certain types of toiletries you can buy that don’t come with any outer wrapping, so they eliminate the need for single-use plastics and coverings. My favorite store to buy these is Lush Cosmetics. They have amazing naked shampoo bars, conditioner bars, soap bars, toothpaste, face washes, and more in a variety of scents and flavors. They even sell cute metal travel tins you can use to carry your toiletry bars. However, you can also make your own solid toiletries like my friend Stacey from Wandering Bajans does! 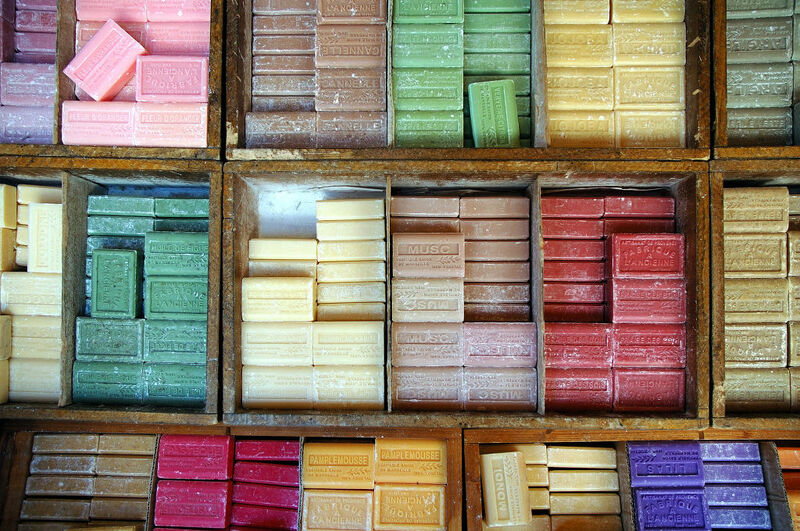 If shampoo bars aren’t your jam, or you have your favorite products you can’t live without, consider buying them in bulk (think the BIGGEST containers possible) and squeezing them into reusable trial-size containers. I’m kind of in love these Penguin-shaped squeezable silicone liquid toiletry bottles that you can refill over and over again with your favorite shampoos, conditioners, lotions, face washes…whatever! Plus, they’re super cute. Who doesn’t want Penguin-shaped bottles in their toiletry bag?! If you’re like me and love eating fresh fruits while you travel, carrying some lightweight fruit sacks with you is a must. It’s great to support local produce farmers while you are traveling. In supermarkets and open-air markets around the world, vendors commonly package their goods in plastic bags for takeaway. However, as we know, plastic bags aren’t our friends. Mesh sacks are a great way for you to buy fruits and veggies at markets without needing to take away plastic bags. Don’t forget to learn “no bag, please” in the local language too! If you’re carrying items that need to be fully wrapped in order to stay fresh (like nuts or half-eaten fruits), consider bringing some beeswax food wraps with you instead of mesh sacks. These fully sealable wraps are made of cloth and beeswax and can be washed with soap between uses. This way, you still don’t need to use plastic in order to carry your snacks and food with you on the road. They’re also perfect for half-eaten granola bars or candy! One of the biggest culprits of waste production in travel is plastic overwraps. Airlines wrap their headsets, pillows, blankets, etc. in plastic to help improve sanitation. However, there’s nothing more sanitary (or waste reducing) than simply bringing your own adapter! If you’re a movie junkie who likes to watch TV on long haul flights, consider picking up some reusable airplane headset adapters, no copious, repetitive amounts of plastic overwrap required. Similarly as above, airlines’ pillows are often wrapped in plastic that gets thrown away with each passenger. Instead, why not bring a compress-able pillow of your own? For long journeys, I always bring my trusty Thermarest pillow with me – on plane rides, long bus rides, trains, cars, and camping trips, its a cozy way to doze off in almost any location. The best part? It rolls up into a cylinder not much bigger than a water bottle, and I can simply throw it in the washing machine whenever I want to clean it. The last plane item that almost always comes wrapped in single-use plastic is a blanket. Let’s face it – airplane blankets and pillows aren’t great anyway, so why use them? Instead, opt for your own blanket or sarong to bring with you on your travels. Another alternative to airline blankets is a silk sleeping bag liner. These are compact, lightweight, and a perfect cozy companion to bring with you on a plane, bus, or train. This sleeping bag liner is a great companion that stuffs down into a small case, perfect for the minimalist traveler on the go. A lot of waste is created by constant energy use, and laundry is a big contributor to that. While I’m not saying to forego all laundry altogether, be mindful of using things like hotel towels once and then having them washed. When I travel, I always bring along my quick-dry towel. I can take a shower, use it, and hang it to dry, and it’ll usually be completely dry in an hour or less. Even better, it’s very thin and easy to pack, and it’s stink-free! For the active traveler on the go (especially if you stay in hostel occasionally like me), save your towels some laundry cycles and opt for a quick dry towel instead. You might be wondering what packing assistants have to do with sustainable travel. Usually, I see a lot of backpackers and travelers who wrap their shoes, clothes, and laundry in plastic bags. And while these bags are *technically* getting a second life, they’ll still break and end up in landfills quickly. Do yourself and your environment a favor and use packing cubes or shoe bags to wrap your items inside of your suitcase. Moreover, you can use these bags at stores and markets to buy items and store them, without needing an additional plastic bag. In my backpack, I use these Bagail packing cubes and they’ve been great so far. However, I recommend checking plenty of reviews to find the best packing cubes for you! For my shoes, I love these cloth shoe bags available on Amazon. No more noisy, breakable plastic bags for me! We create a lot of drinkware waste, between plastic-lined coffee cups, plastic beer containers, and more. Many sit-down restaurants even provide plastic cups instead of reusable ones! To reduce your waste, you can bring your own cups to street food stands and take-out places that typically opt for plastic or styrofoam containers. If, while traveling, you use on average 3 disposable cups each day, you could save 21 pieces of waste in the course of a week-long vacation simply by bringing a reusable glass. These awesome silicone travel cups are reusable, practically indestructable, and compress down to the size of a coaster. If you drink coffee often, this CREATELIFE silicone foldable coffee mug is the perfect travel companion. I have a seafoam green one that I love! Similarly to drinkware waste, we also create a lot of unnecessary plastic waste from drinking straws. Almost every restaurant or bar I’ve seen serves drinks with plastic straws, and that contributes a HUGE amount of single-use plastic waste to our environment. Instead, you can either ask for no straw (what I typically opt for) or bring your own metal straw device to use with your drinks. There are some great metal straw options for sale, and they’re very affordable too. Just make sure that you ask not to get a straw when you order, or else they may give you one anyway. If you’re like me and you have a small stomach, you might not be able to finish your food on the spot. However, many to-go boxes and containers are made of plastic or styrofoam, which are both non-biodegradable. In lieu of using these containers (which often come with a bag), opt for your own lightweight reusable plastic container instead. I know it’s unwieldy to carry around huge tupperware pieces while traveling, but even these small, compressible storage containers are the perfect companion for a sustainable doggy-bag. If you’re bringing a bunch of reusable stuff (which you are, I hope, after reading this article) on your travels, you’ll probably want to wash your stuff sometimes. I get that. If you do plan on washing things during your trails, I recommend bringing some eco-friendly detergents to keep your things squeaky clean. Detergents often come with plastic micro-beads or chemicals that are extremely harmful to marine environments, so using green detergent helps eliminate those problems. This isn’t really a material thing, but I thought I’d throw it on here anyway. Carbon offsets are a great (and inexpensive) way to do your part in flying sustainably. A typical carbon offset will donate money to efforts that reduce or prevent carbon emissions, essentially offseting the amount of carbon you personally use with each flight you take. There are many organizations that offer carbon offsets, but my favorite one to use is Sustainable Travel International. They are a 501(c)(3) that gives back to missions such as the environment and sustainable economic growth in tourism. They’ll also help you calculate your carbon contribution and offset amount. If you are as worried as I am that your boatloads of air travel are doing harmful things to the environment, offset every. single. flight. and get smart on where your money is going. 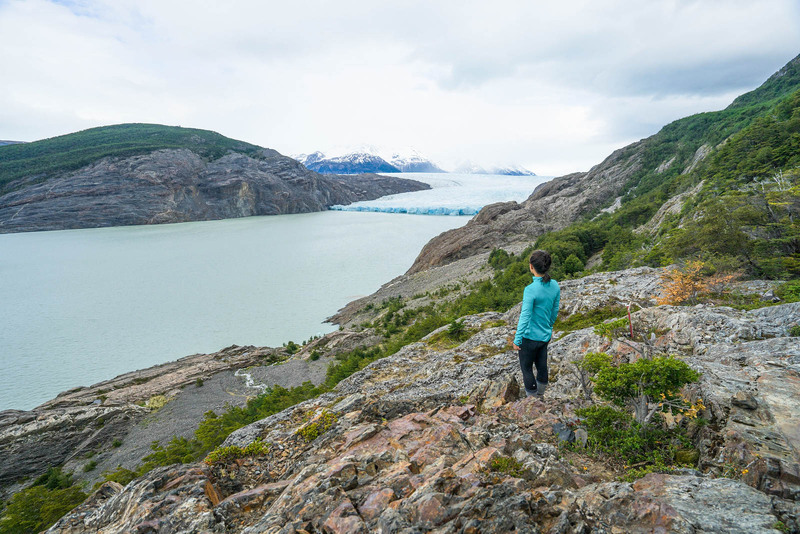 Travel is a wonderful way to understand and see the world, but should be done in a way that preserves and protects our planet and its environments. No one expects you to go out, buy, and lug around every single item on this list. But even if you replace your plastic bottle consumption with a reusable bottle and filter, or vow never to use straws again, or forbid yourself from opening the single-use plastic wrapped airplane goods, it makes a difference. Please, for the love of our planet, I strongly urge you to take these small steps to help reduce your waste and set an example for a new generation of conscious travelers. What are your favorite items that help you cut down on plastic or chemical waste? Did we forget anything? Share your thoughts and reactions in our Facebook group!